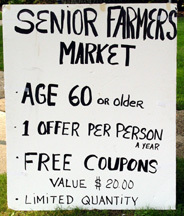 Seniors from Hasbrouck Heights and bus-loads from other Bergen County communities visited the Boulevard Farmer's Market on a bright and sunny August 3, 2004. 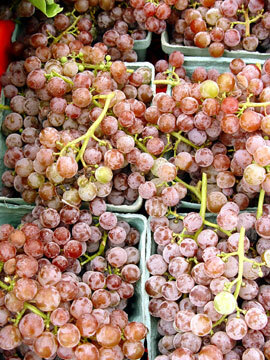 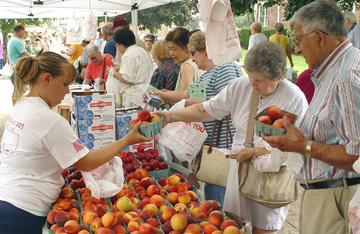 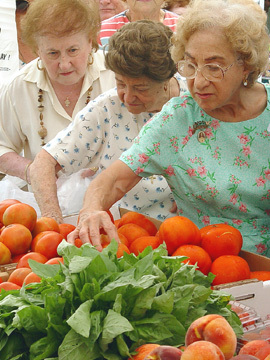 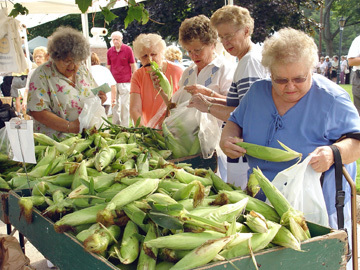 As an accommodation, the market was opened at 10:00 a.m.
Bergen County Division of Senior Services provided about 400 free Senior Farmers' Market Nutrition Program (SFMNP) checks ($20 in five dollar denominations) to Bergen County residents 60+ years to spend at at approved participating farm markets. 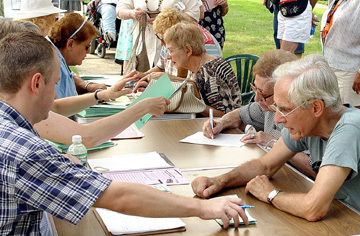 Registration was limited and checks were available on a first-come, first-served basis. 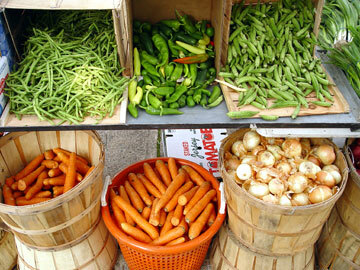 Eligible persons could register once a year. 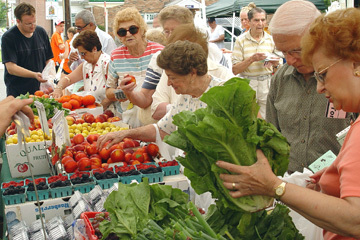 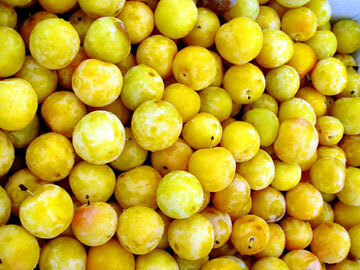 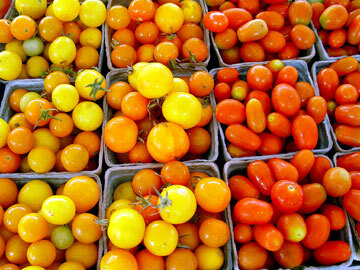 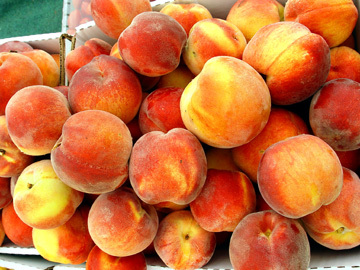 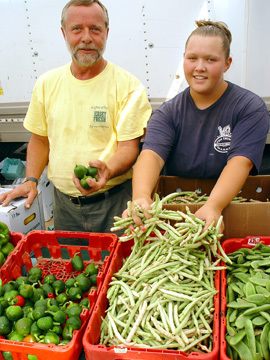 Only locally grown fruits, vegetables and herbs could be purchased with the SFMNP checks. 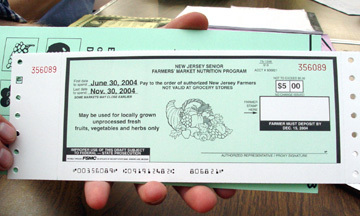 All four checks did not have to be used at the same time, but had to be used before the expiration date. 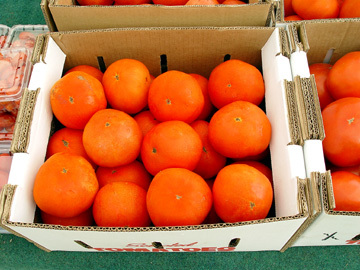 Change was not issued. 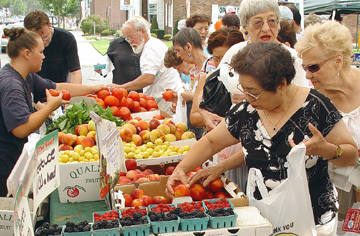 The Hasbrouck Heights Chamber of Commerce has sponsored the Boulevard Farmer's Market for five years.